Learn one of the most holistic approaches to feedback for both managers and employees. The word “feedback” has gotten a bad rap over the years. It seems “feedback” has become the new “criticism” in the professional world—and not the constructive kind. The way organizations approach feedback could be the differentiating factor that helps you cross the line to become an employer of choice. Feedback isn’t just for employees though. Both managers and employees need more in their day-to-day work life, not only for their weaknesses but also their strengths. In fact, managers who receive feedback on their strengths are shown to be 12.5% more productive and employees who receive feedback on their strengths have 14.9% lower turnover. 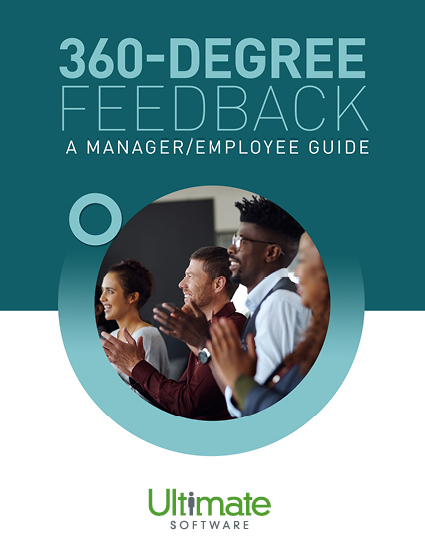 While there are many ways to provide employees and managers with feedback, this whitepaper covers a holistic approach—360-degree feedback. Please fill out this brief form to learn how to make the most of employee feedback.